Hyde Park Residence 1 floor 5 on Pratamnak Hill, close to the beach. 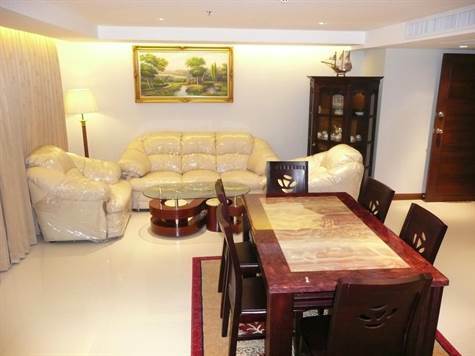 Corner unit facing the sea with large balconies and good sea view over Pattaya Bay. Reception, roof top pool with Jacuzzi, 24 hour security, CCTV security, under-cover parking. 3 air cons of 18,000 BTU, fridge/freezer, 4 hotplates + hood/extractor, microwave, smoke alarm. Electrolux 7 Kg front-loading washing machine. A 42 inch Plasma TV in the lounge, two 32 inch LCD TVs in the bedrooms, 3 DVD players, home theatre. Foreign ownership. Our reference SPC1016.